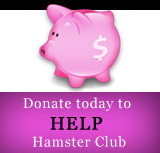 Hamsters require nutritious food just like all larger animals but most owners do not realize this due to the small size of hamsters. Since hamsters have small bodies and they fill up very fast it is very important for them to eat nutritious food at every meal so that they do not get any nutritional deficiencies. This article will elaborate on one kind of hamster food that is beneficial to hamsters and the reasons it should be included in your pets diet. hamsters. Pellets that are especially formulated for baby hamsters are created using a variety of vitamins and minerals that are needed for the growth of baby hamsters. Pellets created for older pets are made with ingredients that are easier to digest. While different companies use different ingredients to create hamster food, some of the common ingredients used to create pellets include corn, sunflower, wheat and Omega 3 fatty acids. Some pellets also are fortified with vitamins and minerals so that you do not need to use supplements along with pellets. Some manufacturers also use timothy hay as an ingredient in pellets since timothy hay is very good for hamsters. Pellets are usually recommended for hamsters of all ages since these pellets not only help hamsters receive the proper nutrients but these pellets also prevent diarrhea. Green leafy vegetables and fruits often cause diarrhea or wet tail in pets when these food items are fed to hamsters to often. By including pellets in your pets diet you can prevent diarrhea but you should keep in mind that too many pellets can cause constipation. You should ideally feed your pet pellets three times a week, all he can eat in 10 minutes. 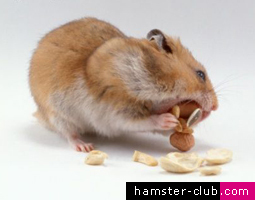 You should also provide fresh clean water along with the pellets so that the hamster does not choke on the pellets. 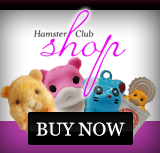 While feeding your pet food like hamster pellets to your beloved pet you should keep in mind that the nutritional requirement for hamsters and ferrets is different so you should buy only feed pellets made especially for hamsters, the two types of pellets are not interchangeable like some people believe them to be. You should also not feed dog pellets or cat pellets to hamsters since these pellets contain ingredients that are not suitable for hamsters either. While buying pellets you should keep in mind that the selected brand should use high quality ingredients and the pellets should not contain a lot of corn since this can be harmful to your pet hamster.